Welcome to a look into the projects, supporters and connections of Tampa Bay Farm 2 School, through an intern’s eyes. Read on for some interesting insights and meaningful engagement with the health and environmental community of Tampa Bay. 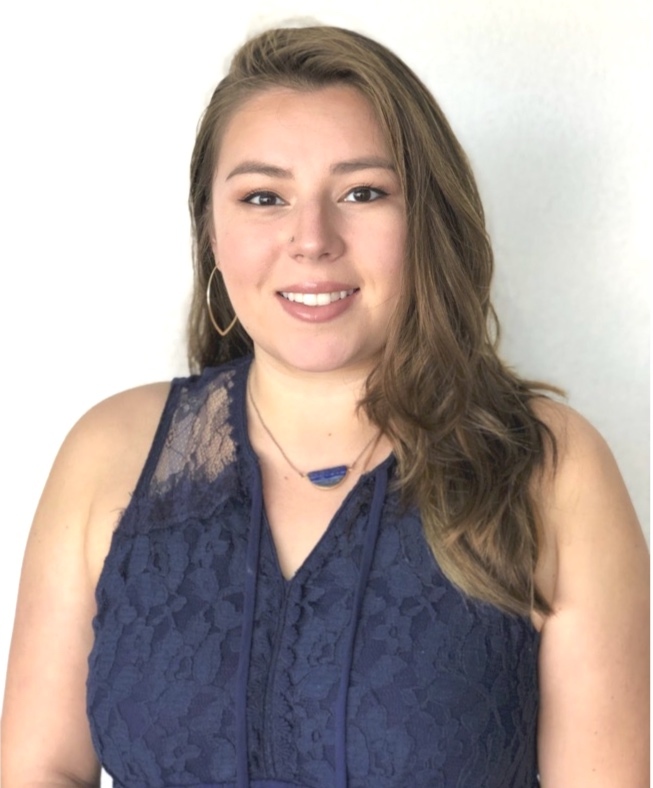 Welcome to a look into the projects, supporters and connections of Tampa Bay Farm 2 School, through an intern’s eyes. Read on for some interesting insights and meaningful engagement with the health and environmental community of Tampa Bay. Currently in my senior year at the University of South Florida, I am majoring in Mass Communications with a concentration in Public Relations, which has helped me follow my passion for understanding and engaging with media channels. I am also working towards receiving a minor in Sociology and a General Business Certificate. Through my academic studies, I began recognizing the serious lack of healthy and sustainable food practices in varying socioeconomic areas, especially in Tampa. Finding out that the Farm2School organization has grassrooted efforts to create educational and empowering spaces as a progressive solution, I had to get in on the action. Aligned with my interests in graphic design, politics, and social media, I hope to bolister TBF2S’s message and significance through increasing social media presence and support base for this wonderful and important organization, ultimately giving it the recognition it deserves. On the weekend of January 19th, 2019, the Tampa Bay Farm2School and Kid’s Kitchen team, alongside the Cork Elementary staff, coordinated efforts of volunteers- representing USF's Stampede of Service, USF’s Engineers Without Borders, the US Green Building Council, the Patel College of Global Sustainability Alumni Association, and Bethany Baptist Church- to build an outdoor garden classroom, including four garden plots and classroom seating. Shoutout to those amazing volunteers, we would not have accomplished this build without you! We will be holding a grand opening celebration on Thursday, May 2nd at Cork Elementary in Plant City from 6 p.m. to 7 p.m.
With each garden we help create, our hope is that these spaces will make it possible for students to learn how to grow fresh vegetables, as well as how to prepare them, thanks to experiences cooking and tasting plant-based recipes with the Kids' Kitchen team this spring. 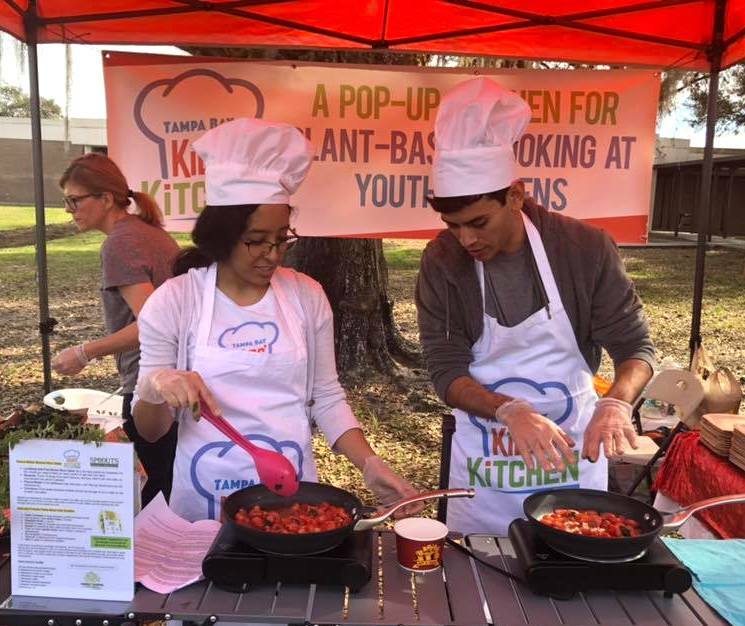 This combination of gardens, nutrition and cooking lessons is key to fulfilling Tampa Bay Farm2School's vision of "Healthy Communities, Seriously Healthy Food," as well as fostering a healthier mindset for the growing Tampa Bay populace. We are grateful to the Plant City Observer that published an article about Cork's new garden, and the generous donor that has stepped forward to provide supplies and construction to build an enriching outdoor classroom space for the children. This will include plants to put into the new garden plots, as well as a pergola that will provide some cover for students while they are learning and creating new connections. Tampa Bay Kids' Kitchen team had its first demonstration of the new year while at the build day. Volunteers were treated to an array of healthy plant-based dishes, including Dr. Hansen's famous cranberry-hibiscus tea, carrots and celery with hummus, and rice cakes topped with peanut butter and bananas. For the lunch portion, some of the Kid's Kitchen volunteers helped prepare and chop all of the ingredients for the recipes, which really made a difference when it came time to put everything together. During the cooking demonstrations, Kids' Kitchen team leaders, Richa and new leader, Brandon, taught nutritional facts about kale, tomatoes, zucchini, beets, and even taught the audience how to use a spiralizer. The combination of a warm, hearty kale and tomato pasta dish and a colorful asian-styled zoodle salad left our volunteers smiling and ready to get back to action! If you would like to donate time or resources to support the schools with outdoor garden classrooms, please contact us via email: ttfarm2school@gmail.com, or donate on our website. Also feel free to check out our social media pages (by clicking on the links at the top of the page) to stay updated and get awesome tips about gardening or plant-based eating!